Apex Limousine Transportation is proud to offer our full range of comprehensive services to Yountville! Nestled in the heart of the Napa Valley this small town is a must visit destination in Northern California. Easily a part of a larger Napa Valley Winery Tour, Yountville is a special destination that is home to four Michelin starred restaurants. The French Laundry, two time winner of best restaurant in the world by the “The World’s 50 Best” restaurant rating organization. Such incredible in such a small town make Yountville a truly remarkable destination and the best dining destination in the entire USA. Yountville is also home to a number of renowned wineries and vineyards consistently producing world-class wines on par with the rest of the Napa Valley. Other destinations worth mentioning include the Napa Valley Museum and the Lincoln Theatre. Here at Apex Limousines we offer comprehensive Napa Valley Winery Tours. We bring our clients through the beautiful scenery of the Napa Valley to the restaurants and wineries that best fit their desires and tastes. We have a loyal and consistent client base because of our extensive knowledge of the Napa Valley and our ability to show the best restaurants and wineries of the region. Yountville is an exceptional destination and one we always enjoy including in our Napa Valley winery tours. It is a quintessential town in the heart of the Napa Valley. We know that residents of the region have experienced and tasted local wines before – however we also help local residents experience parts of the Napa Valley they have never explored before. Our limo services extend well beyond Napa Valley Winery Tours as well. Our extensive staff of professional limo drivers perfectly compliment our luxury sedans, SUVs and limousines to help make any occasion something special. We provide transportation services for weddings as well. We work directly with the families, couples and wedding planners to ensure that our vehicles and drivers are ready to perfectly compliment your wedding day plans. We have provided our limo services for many Napa Valley weddings and know Yountville and the surrounding areas well. Our knowledgeable limo drivers are able to flawlessly provide superior transportation services no matter what the size or scope of your wedding day is. For those who are visiting Northern California for the first time we are here to help make your entire Bay Area adventure one you will never forget. First and foremost we can pick you up at any of the major Bay Area airports (SFO, OAK, SJC) in a timely and prompt fashion. We will never leave you waiting or make you late for a flight. We are able to bring you directly to where ever you are staying. Then of course we can happily provide an incredible Napa Valley Winery Tour with a focus on the beautiful and delectable options in Yountville. No matter what the occasion – whether a sporting event, concert, excursion to San Francisco or a Junior Prom we here at Apex Limousine Transportation service pride ourselves on being the go to limo transportation provider in Yountville, California. So what are you waiting for? Give us a call today and together we can plan out your adventure in luxury one ride at a time. 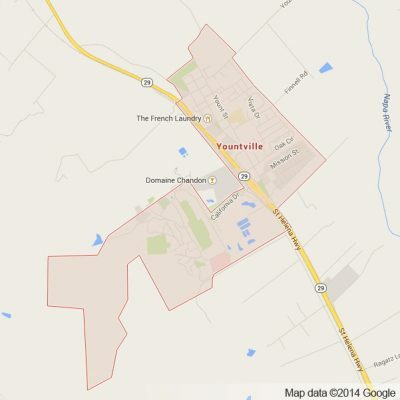 Please call us for car service all inclusive total for Yountville to/from Napa Valley transfer.